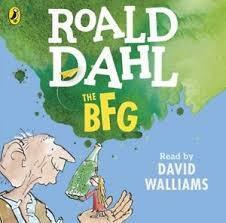 Puffin Audiobooks presents Roald Dahl's The BFG, read by actor, writer, and Britain's Got Talent judge David Walliams. This audiobook features original music and sound design by Pinewood film studios. All the other giants are big bonecrunching brutes, and now the BFG and his friend Sophie must stop them guzzling up little human beans - with some help from Her Majester, the Queen. David Walliams is a multi-award winning British comedian, actor and writer, best known for the comedy series Little Britain- but his acting work includes plays, dramas and films. He is also the author of five hugely successful children's books, including two illustrated by Quentin Blake - Roald Dahl's favourite illustrator.